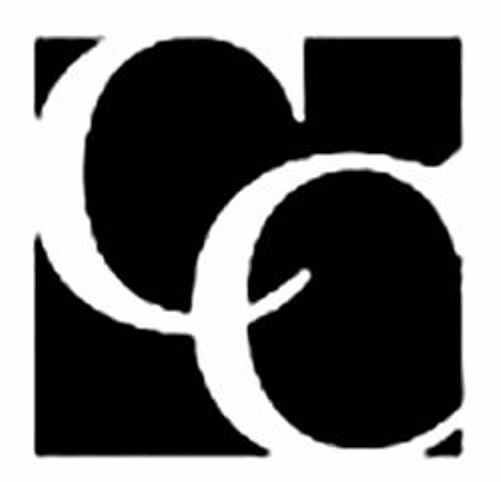 Colorado real property tax lien sales are governed by Articles 11 and 12 of C.R.S. Title 39. Now is the time visit the websites of the respective county Treasurers for the counties which you are interested in bidding on such liens. You’ll find a lot of valuable information including their auction dates; rules, procedures, training, and how to register, bid and pay. Many counties use SRI/Zeus to handle their online auctions. The overwhelming majority of tax liens are redeemed so one should view it as an investment generating a yield with a small possibility of acquiring the property. Of course, if you can purchase a large number of such liens, the odds of one ripening into a Treasurer’s Deed in 3 years increases. The winning bidder receives a Certificate of Purchase which is a lien against the property and good for 15 years. The redemption amount paid by the delinquent taxpayer is the certificate amount (tax, interest, advertising, and fees), plus redemption interest. So, beware that if you bid a premium over and above the lien amount, which is often the case, that amount is not recoverable from the delinquent taxpayer when they redeem. So, if/when you over-bid, do not do so by much, and hope there isn’t a quick redemption. You are counting that any MODEST premium you paid will over time reduce but still leave you with a decent return on your money and one far higher than most fixed income investments right now in these times of historically low interest rates. The annual redemption interest rate for each year’s public auction is set by the state Banking Commission and is calculated by adding 9% to the September 1st Federal Reserve Discount Rate. One twelfth of this rate accrues for each month or portion thereof. Upon redemption, the holder of the certificate, which is a lien and assignable per C.R.S. 39-11-118, is returned to the county for payment of the certificate’s face value plus accrued interest. In the event the property isn’t redeemed within 3 years, the holder of the certificate may apply for a Treasurer’s Deed. The form of deed used by the Treasurer is provided in C.R.S. 39-11-135, and it is a Bargain and Sale Deed. It will take 3-6 months from the time of application to actually receive the Treasurer’s Deed. Check with the rules of the county which you hold the COP as you may be able to submit your application a few months prior to the running of the 3-year period so you wait less time after the 3-year period expires to receive the deed. A Treasurer’s Deed does NOT convey marketable title. Title Standard 4.2.1 states that title becomes marketable once the Treasurer’s Deed has been of record for 9 or more years. However, the Grantee of the Treasurer’s Deed not wanting to wait 9 years can commence an action pursuant to C.R.S. 39-11-133 in District Court seeking a Decree Quieting Title. This creates a new title chain, and six months after obtaining such a decree, the title is marketable. Some investors specialized in buying prior years’ certificates of purchase from other investors once they are already 2-3 years old. Since only a small percentage of delinquent taxpayers fail to redeem leading to a Treasurer’s Deed, buying a COP that’s a couple of years old likely increases the odds that the taxpayer will not redeem. Sometimes, there are COP’s that are 3 years old or investors already holding Treasurer’s Deeds ready for commencement of a Quiet Title Action. Many of the holders of these COP’s or Treasurer’s Deeds do not wish to incur the expense and time of a Quiet Title Action. Predictably, these investors holding COP’s over 3 years old or recently issued Treasurer’s Deeds will want significantly more than the amount of the unpaid taxes and interest. Always make sure the underlying property is worth owning and doesn’t have issues such as a latent environmental liability or other defect(s) that led the owner to decide to abandon the property by ceasing to pay the taxes. 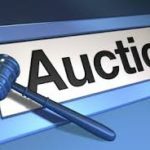 Denver County auctions are held in early November. Log into the Denver Treasurer’s site regularly as that date will be set very soon. 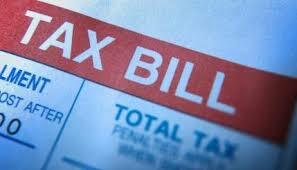 Arapahoe County will open their tax lien site for registration, research and deposits on October 14, 2015. Bidding will begin at 8 a.m. MST on November 3, 2016. Full payment is due no later than 4:30 on November 9, 2016. There is even a practice site. Douglas County: Bidding opens 11/3/16 and less than 1% of Douglas County tax liens ripen into Treasurer’s Deeds. Adams County: Internet tax auction run thru SRI, Inc. through Zeus auction; and registration closes November 4th. Jefferson County: Has tax lien seminars and auction registration is handled by SRI, Inc. through Zeus auction and registration is 10/3-10/18. It is tax lien auction time again - Learn how tax liens work and if purchasing a tax lien would be a good investment for you! Learn about tax liens from how to purchase them through receiving the treasurers deed and the timeline for marketable title.